Now we create a geological model with the layers following the terrain. We will continue with the previous example. The procedure of modification is evident from the following picture - it is necessary to enter new boreholes on boundaries of the construction site. 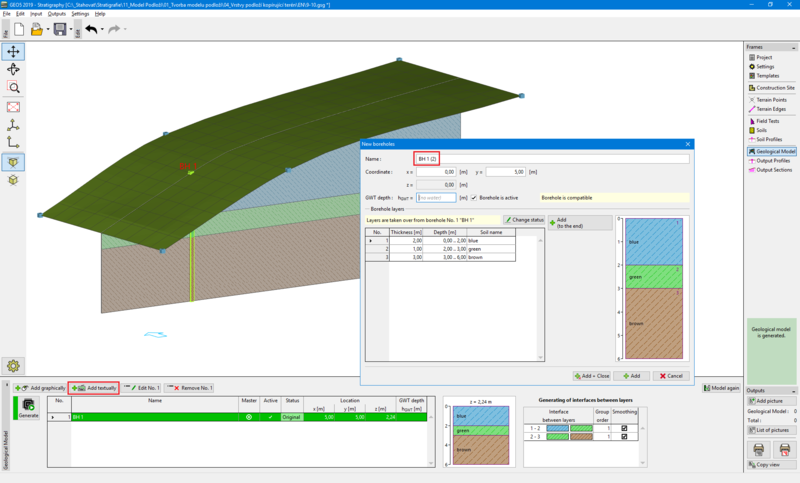 In the "Geological model" frame, select a borehole "BH 1" and define new boreholes in points [0; 5], [20; 5] (using the "Add graphically" or "Add textually" buttons). 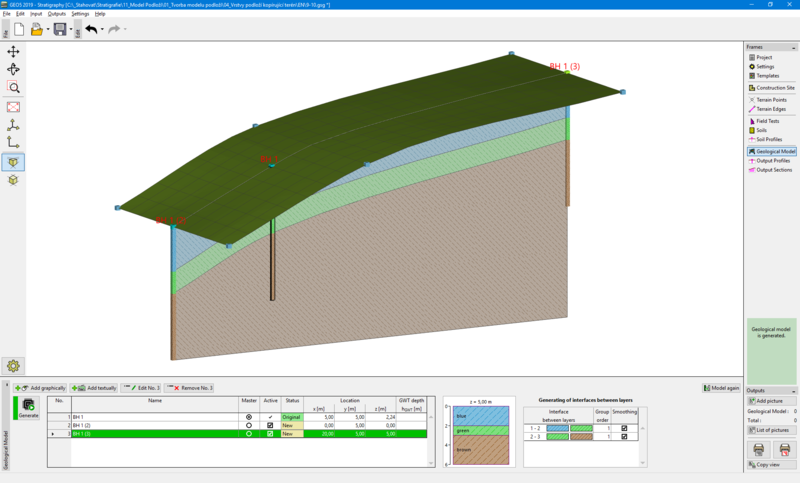 If the borehole were not selected before pressing "Add graphically" or "Add textually" button, new boreholes will not copy borehole "BH 1", but they will correspond to the already created geological model. In the dialog window "New boreholes", we can see, that the data of the new borehole is copied from the borehole "BH 1".